Buttery and rich with a hint of acid, this sauce is a delicious twist on a classic beurre blanc. garlic, peeled, roasted	 2 tbsp. fresh sage leaves	 1 tbsp. fresh oregano leaves, chopped	 2 tbsp. fresh thyme leaves, chopped	 2 tbsp. 1. Place white wine, shallots, roasted garlic, and herbs into a saucepan, bring to a boil and cut to a simmer. Reduce by half. Campbell's® Healthy Request® condensed Cream of Chicken Soup offers the rich traditional flavor of cream of chicken soup with a more nutritious profile. 2. 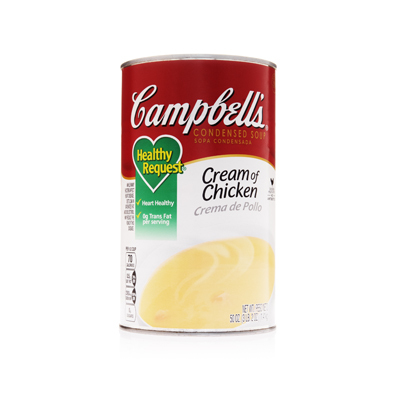 Add water and Campbell’s Healthy Request Cream of Chicken Condensed Soup. Bring to a boil and reduce heat to a simmer for 5 minutes. butter, diced small, cold	 12 oz. 3. Blend. Add butter a few pieces at a time. 4. Hold warm and serve. fresh oregano leaves	 2 tbsp. fresh thyme leaves	 2 tbsp. No need to mince the herbs – just add them to the wine and blend. 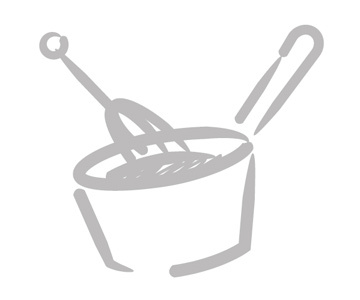 To hold sauce warm, add boiling water to an insulated coffee urn, allow it to sit for 3 minutes, remove water and hold sauce inside. Great with flaky white fish or salmon, or toss with fresh pasta and seasonal ingredients to create a signature dish.